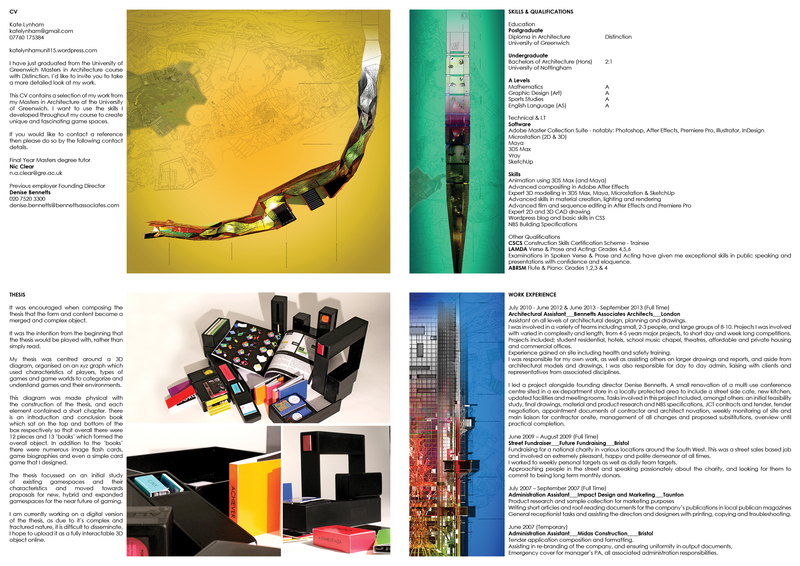 My Thesis Poster depicts a city as a game board. My research into games and the city has led me to a general area of interest in pervasive gaming, or location based games, where at least some of the gameplay physically takes place in and around cities and landscapes. 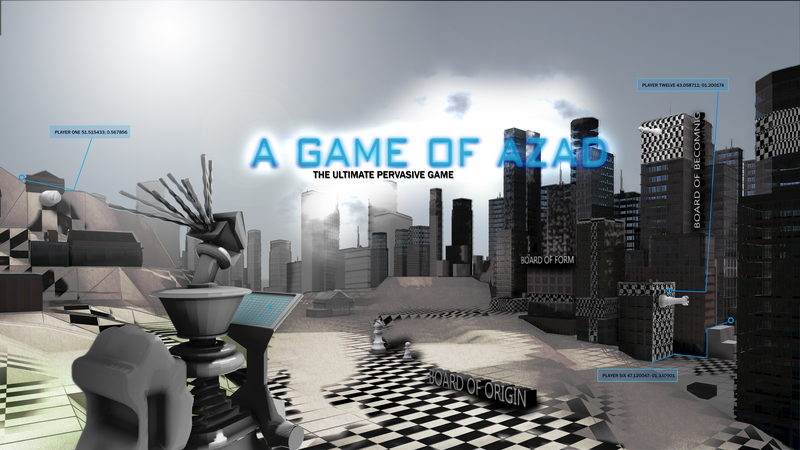 My poster also ties into the themes of Loncon3 and their desire to attempt to recreate the Game of Azad from Iain M Banks book ‘The Player of Games’. In developing this poster I have also been able to stretch my skills in 3DS Max, a software new to me this year. I was keen to really start to push my modelling skills in a 3D software as last year all my work was done in CAD which had limitations when it came to film making and animation. The city in the background of the piece has been modelled using a 3DS Max script called City Generator where you have an extensive number of parameters and generate individual detailed buildings. It has been very useful, but in the future I think I would need to experiment more with clever texturing and mapping as this script creates extremely high polygon objects which has impacted on render times and therefore quality.